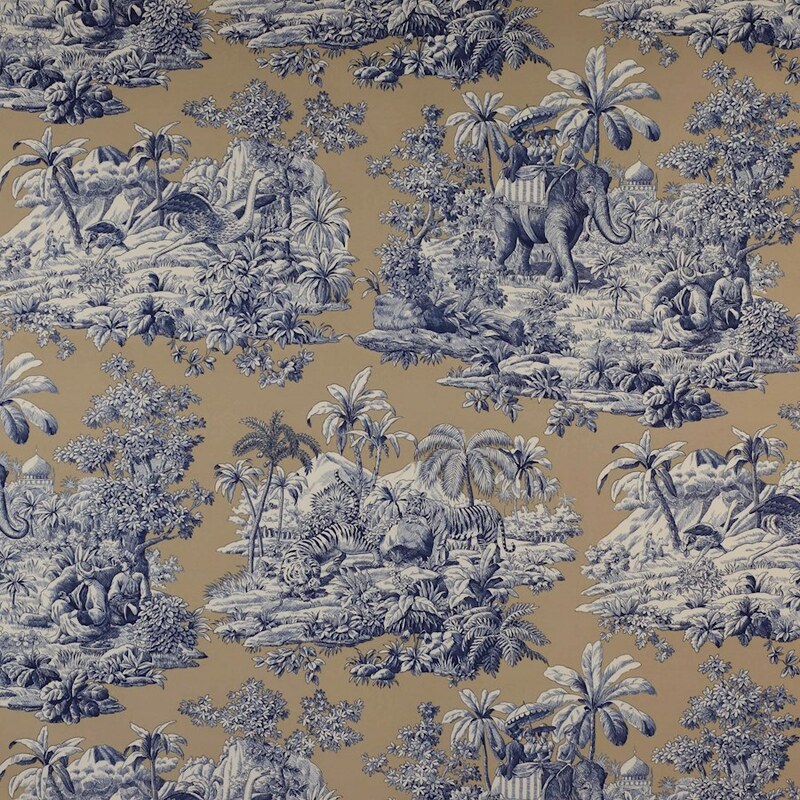 A 19th century toile showing an Indian scene in the time of the Raj. 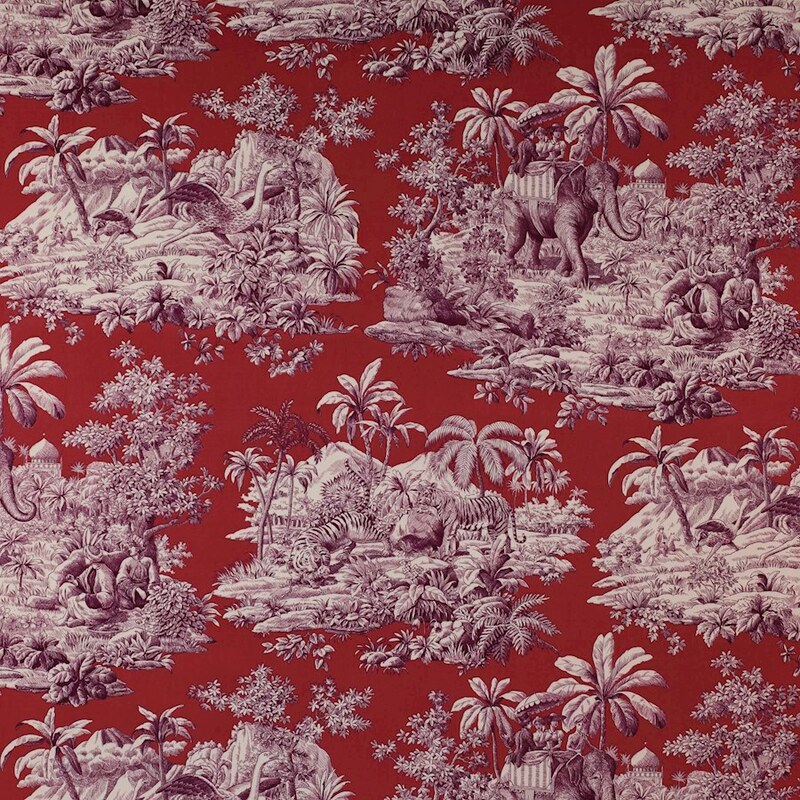 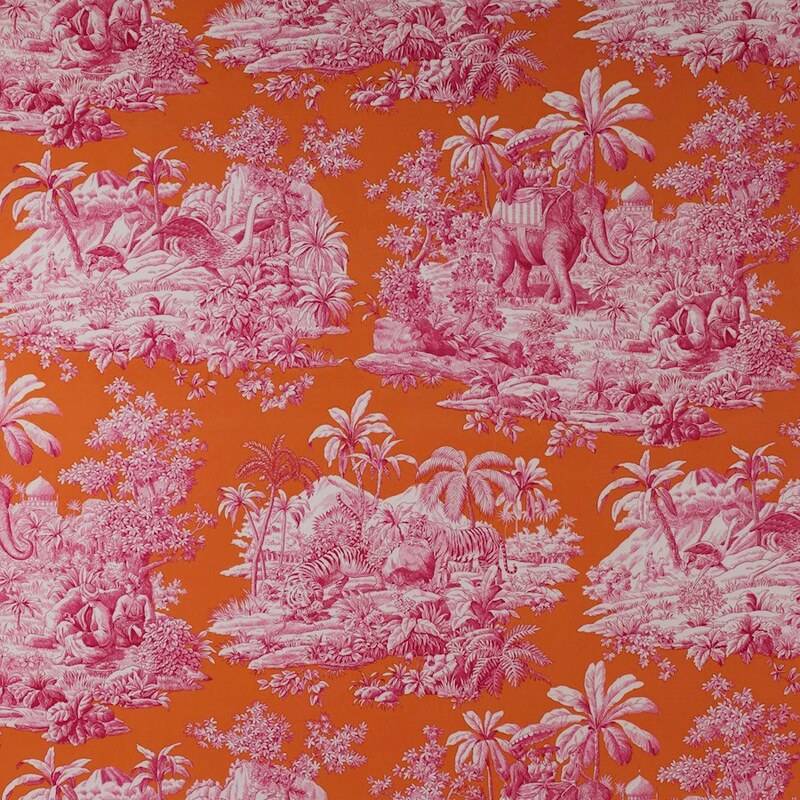 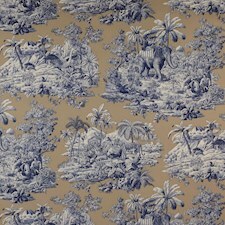 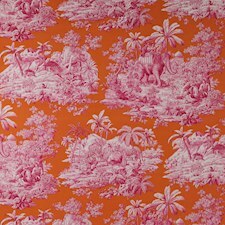 Featuring a couple riding on an elephant through a tropical jungle, complete with tigers, ostriches and Moghul palaces. 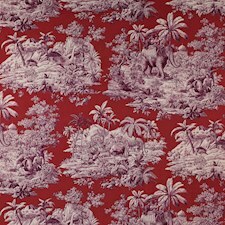 Offered on a rich cotton ground with matching wallpaper.